Remember how I said I love fall? 1) Yes, it’s September. It’s still Oktoberfest. Even Oktoberfest in Germany is in September. Get your learnin’ on, folks. 2) I’m (half)German. And while I hate sauerkraut and don’t speak the language, it’s fun to get out and shine a little bit and of course, enjoy the food. Plus, beer. Lots and lots of beer. I will admit here, of course, that I’ve actually only been to Oktoberfest one other time, with a handful of German lasses I like to call some of my best friends. I know what you’re thinking: my last name seems a little, well, not German. True, Manet is my husband’s last name, which of course is French, but even my maiden name of Covington is English. Did I mention my German heritage is on my mother’s side? Anyway, where was I? Oh right, beer! Err, Oktoberfest! 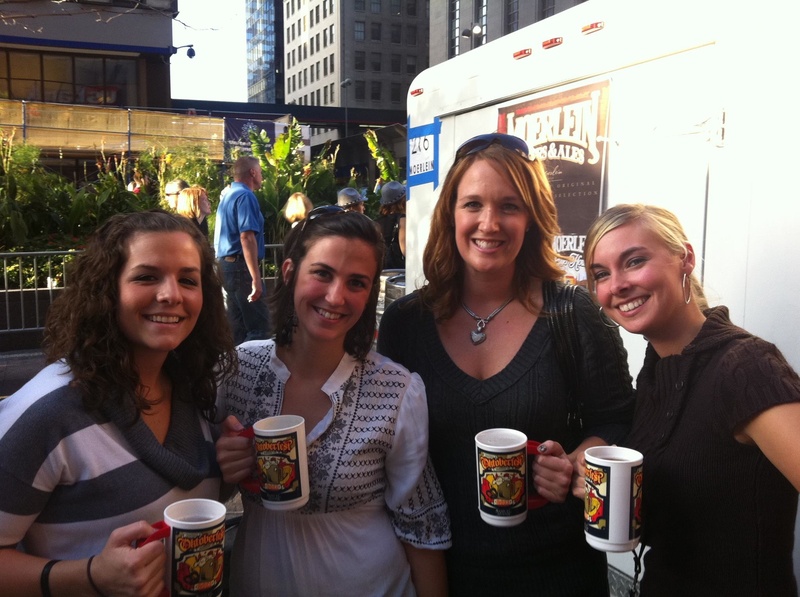 Today I’m taking the Manet family downtown to get their first taste of Oktoberfest. Since it was a girls day the last time I went, Darrell hasn’t ever been, either. And even though it’s grey and rainy now, the weather is supposed to clear up and give us a gorgeous day to enjoy beer, bier cheese, schnecken, strudel and schnitzel! I’ll do my best to actually take pictures this weekend while they’re here and get a post up about the festivities afterward.